Bivona Child Abuse Summit 2019 Conference App is now live! 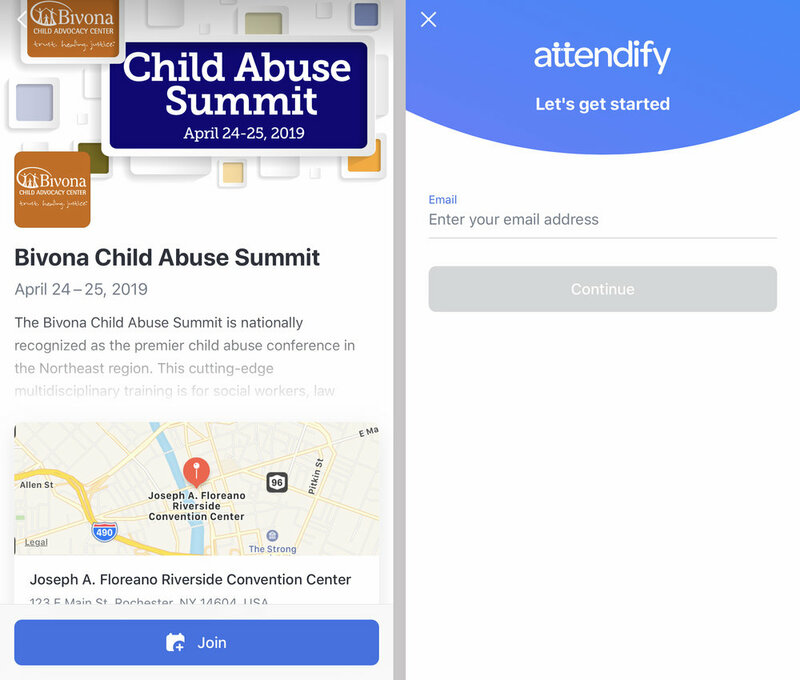 The Bivona Child Abuse Summit app can be found within the Attendify App. Follow the instructions below to access the official 2019 conference app. • Visit the App store (for Apple/iOS devices), or the Google Play store (Android devices). • Once in the appropriate store, use the search function and search for “Attendify”. • Download the Attendify App. • Open the Attendify App. • Click on the Search Bar and search for “Bivona”. • The Bivona Child Abuse Summit, April 24-25, 2019 will pop up. • Click the link and when prompted, enter the event code Bivona2019. 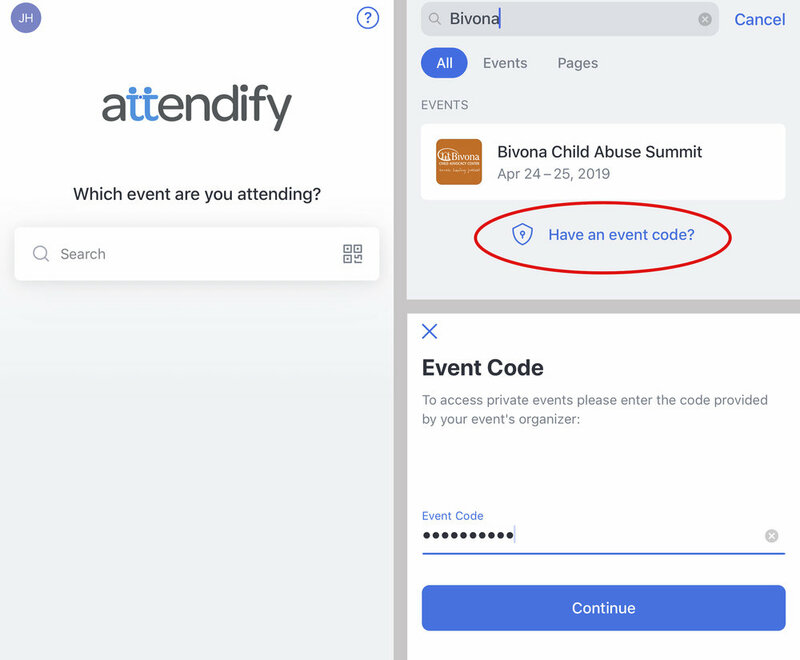 • After you enter the event code, the 2019 Bivona Child Abuse Summit App page will open. Click “Join" at the bottom of the page. • On the next screen, enter your email address and either continue to create a new account, or log in to an existing account. • Once you have logged in and joined the Summit app, the home page of the app will open. • To access your profile and all the details of the 2019 Bivona Child Abuse Summit, click on the three blue lines on the top left of the screen. 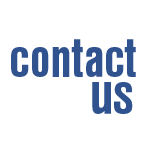 From here you can access a full event schedule, speaker bios, an interactive event map, workshop evaluations — and more! Still have questions about downloading and using the app? 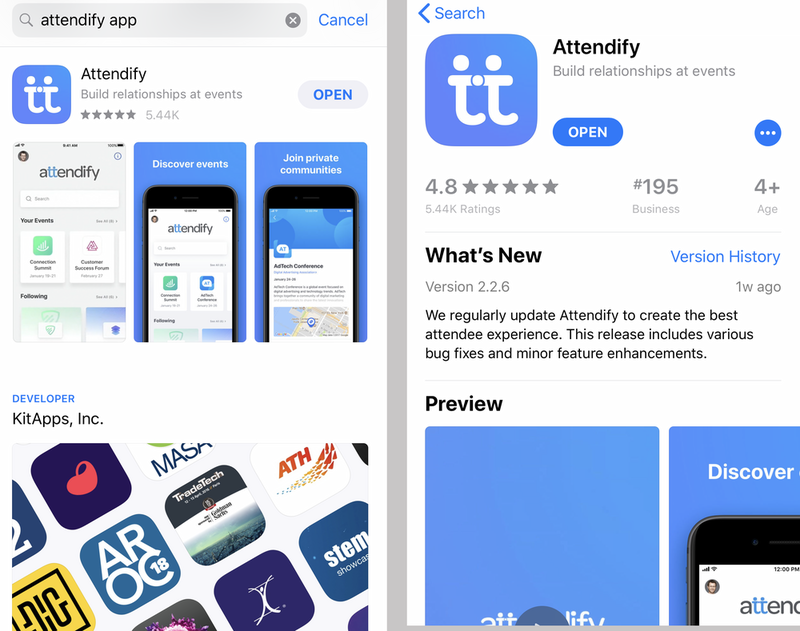 View Attendify’s helpful, in-depth Attendify App Attendee Guide for a step-by-step breakdown of the process - including using an event code.